The singles champions extended their reign and some old champions returned but the new doubles champions confirmed everyone’s expectations. However, after storming back to take the second, Lee and Chung finally managed to neutralize Jung Jae-sung?s thundering smash by keeping him moving and keeping the shuttle low. A few deceptive serves by Chung Jae-hee gave the veterans six match points and they wrapped up the match with a 21-17 win. The day began with the return of some old champions in mixed doubles when Lee Dong-soo, 32, and Chung Jae-hee, 28, took the mixed doubles title in three games from Jung Jae-sung and Jung Youn-kyung. Neither of the former All England champions had won a national title since 2002 and they looked set for disappointment once again as their younger opponents took the first game 21-18. 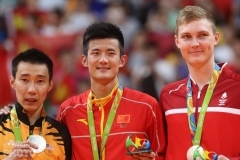 Runners-up Jung Jae-sung and Jung Youn-kyung have a fair bit in common. In addition to sharing a family name and being members of the same professional team, they were also born exactly two days apart in 1982. Neither is known as a mixed doubles specialist. In fact, the last respectable result either has had in mixed doubles is a semi-final finish in the nationals five years ago, one of the few other occasions on which they competed as a pair. 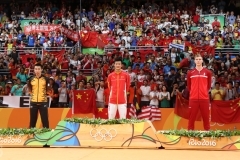 Their most important similarity on Saturday, however, was that they both had to wait until their respective doubles competitions to achieve success. After Lee Dong-soo?s exuberant point celebrations and Jung Jae-sung?s bellowing exertions on his smashes there was a palpable change in the atmosphere when Lee Hyun-il and Park Sung-hwan took to the court for a repeat of the final from a year ago. The two players barely uttered a syllable between them but, nonetheless, treated the crowd to a worthy spectacle. Lee led throughout the match until the second game when Park managed to claw back from 12-15 to sneak a 16-15 lead. The game ended 21-18 when Park was just a fraction of a second late on a kill attempt at the net. Lee was sprawling on the floor and collapsed in relief as Park pummelled the shuttle at the bottom of the tape. Lee?s delight at winning belied the fact that this was his fifth national title in seven years. While Park Sung-hwan managed a mere 3 points more than in last year?s final against Lee, the women?s singles final saw Hwang Hye-youn give a little more ground to her Samsung team-mate Seo Yoon-hee in their 2005 final. 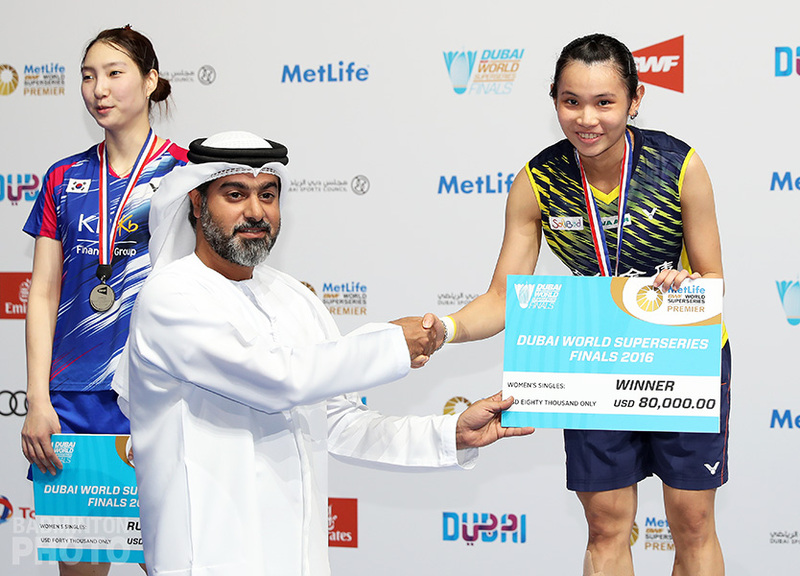 Still, despite a little trouble with the lines in the first game and Seo?s success in making her move in the second, Hwang never relinquished the lead and took home her second consecutive title with a 21-17, 21-18 victory. Four-time women?s singles champion Jun Jae-youn was once again out of the running. Having struggled valiantly against Lee Hyun-jin in the quarter-finals, Jun was visibly in pain at the end of the third game. 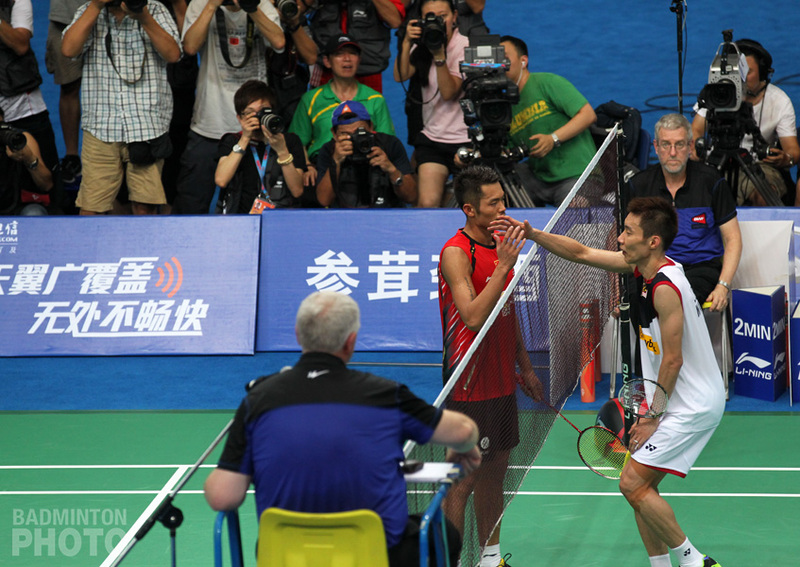 It may have seemed natural for the world?s #3 pair, Lee Yong-dae and Jung Jae-sung, to win their national championship in straight games, but it was actually the first time this decade that Korea?s top men?s doubles pair had won the title. In fact, Jung Jae-sung had some influence on this statistic as he was half of the unranked duo that won this tournament back in 2003, when Korea had 3 other pairs in the world?s top ten. Ironically, last year, when Jung was finally a top seed at the nationals, he was beaten by none other than Lee Yong-dae. The two champions have, of course, been paired up since the beginning of the year and their victory came as no surprise to anyone present. Kim Yong-hyun and Kang Myeong-won did their best to stay close until five-all in the first game before Lee and Jung began to widen the lead on the way to a 21-13, 21-8 rout. The official name of the tournament, choi gang jeon, which translates literally as ?competition of the strongest?, certainly befits this pair. With Jung taking his 3rd championship in 4 years and Lee his second in a row, obviously that just leaves the rest of the world to be conquered. ?We hope to reach number one in 2007,? says Jung. 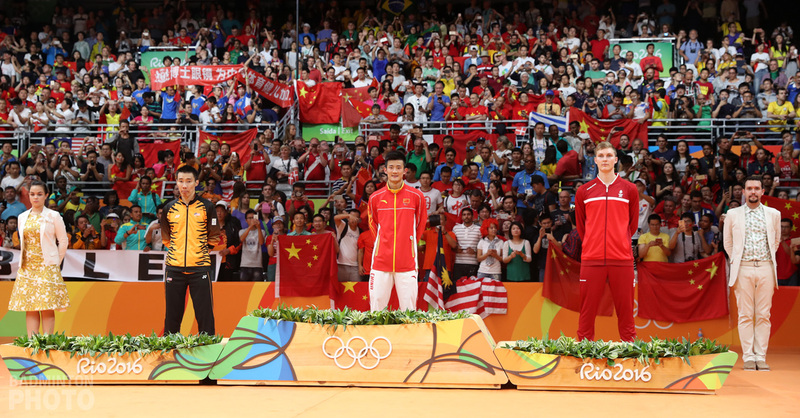 ?With the Asian Games gone and the Olympics still over a year away, we will mainly be concentrating on winning more international tournaments. We won two this year and we hope to top that next year.? 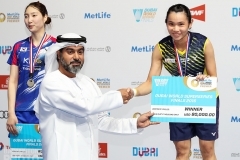 After three consecutive runner-up finishes, Jung Youn-kyung finally took home the women?s doubles gold. She and former partner Chung Jae-hee lost all three of those finals to world #4 Lee Kyung-won and Lee Hyo-jung, who were once again forced to withdraw because of the latter?s back problems. ?If my Samsung team-mates [Lee and Lee] had not withdrawn, it would have been very difficult to win the tournament,? Jung admitted later ?but I decided to seize the opportunity when it presented itself.? On the way to the final, Jung and partner Hong Soo-jung had to take on #2 seeds Ha Jung-eun and Hwang Yu-mi. In that semi-final match, Hong looked very nervous but Jung?s experience was visible from start to finish as she took control and held the team together for a 2-1 victory. Hong looked much more confident in the final against Yim Kyung-jin and Park Soo-hee. The World Junior Championship runner-up said later than her new teammate had told her to relax and follow her lead. The result was a much smoother partnership and a convincing 21-15, 21-13 victory.